Lewis Mumford (October 19, 1895 – January 26, 1990) was an American historian, sociologist, philosopher of technology, and literary critic. Particularly noted for his study of cities and urban architecture, he had a broad career as a writer. 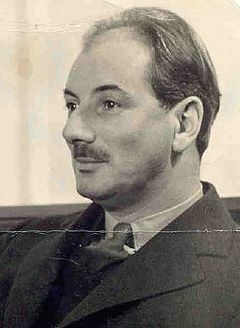 Mumford was influenced by the work of Scottish theorist Sir Patrick Geddes and worked closely with his associate the British sociologist Victor Branford. A society that gives to one class all the opportunities for leisure and to another all the burdens of work condemns both classes to spiritual sterility. Western society has accepted as unquestionable a technological imperative that is quite as arbitrary as the most primitive taboo: not merely the duty to foster invention and constantly to create technological novelties, but equally the duty to surrender to these novelties unconditionally, just because they are oﬀered, without respect to their human consequences. Arnold Bennett visited Irish playwright George Bernard Shaw in his apartment and, knowing his host's love of flowers, was surprised that there was not a single vase of flowers to be seen. He remarked on their absence to Shaw: "But I thought you were so fond of flowers." "I am," said Shaw, "and I'm very fond of children, too, but I don't chop their heads off and stand them in pots about the house.